Finally had a chance to drop by the Fantasy Faire—in the nick of time, as it’s closing tomorrow—and I have to say this year’s builds are among the most impressive in recent memory. What’s particularly impressive about the sim I photoed on, Dangarnon, is that it’s inspired by a previous build… but is now a dark version, with its own enormous Dark Tower. But here I am in the streets of Dangarnon, far beneath the baleful eye of the Tower, a rapscallion looking for a bit of fun. 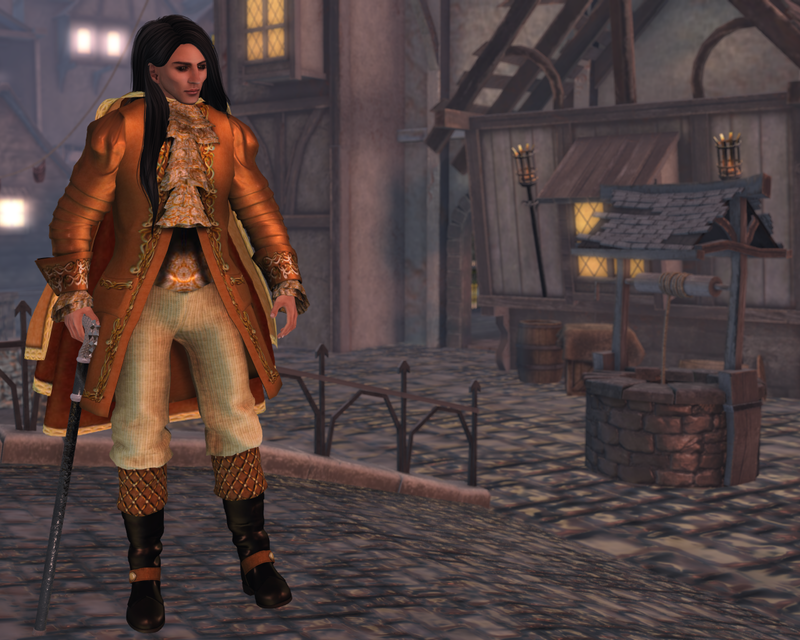 Dressed to the nines in BlueMoon Enterprise’s King Ratherbe mesh outfit, I thought one useful accessory would be Talevin’s Designs new Silver Dragon Cane. Not shown here is the fact that the cane comes with a brief animation HUD that allows you to poke at stubborn doors, mysterious foliage, or intractable people ... or you can just outright bonk them over the head, too. Amusing! The King RatherBe outfit comes in two other colors (silver and a royal blue), and I have to say it’s quite impressive. 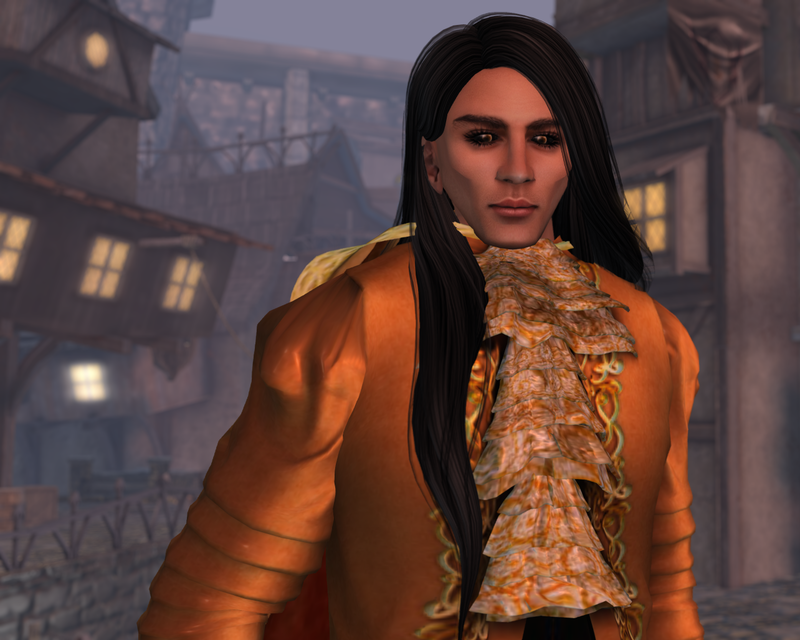 The texturing of the coat and especially the cravat is quite impressive. Complimenting the outfit is another Fantasy Faire exhibitor, the Stringer Mausoleum, with their new eyes Moon Called Silver (in the Sand color, to match). They add a distinctive fantasy feel—a little creepy with the otherwise normal Nico skin from Birth and the Erik hair from Wasabi Pills. Remember, May 1st is the last day of the Fantasy Faire, so make sure to visit before time’s up!